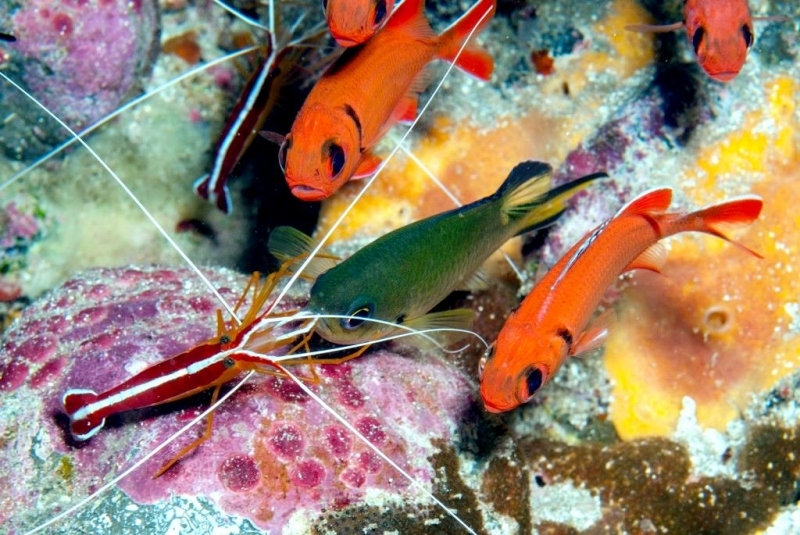 There are many species of scavenger fish that mainly help in keeping other fish clean. 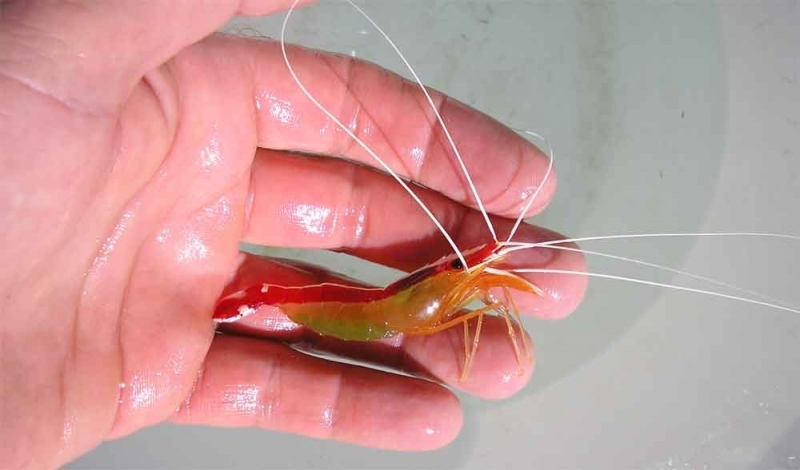 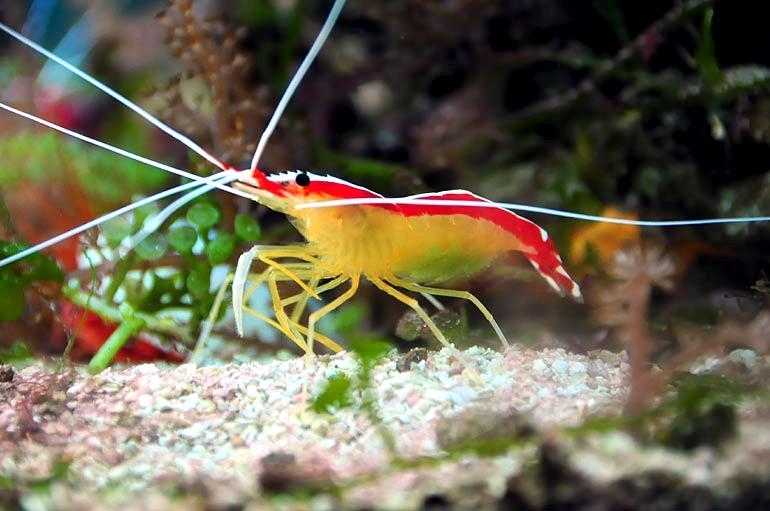 Cleaner Shrimp belong to the species of omnivorous shrimp which eat both plants and animals, mainly zooplankton that usually feed on parasites and dead tissue. 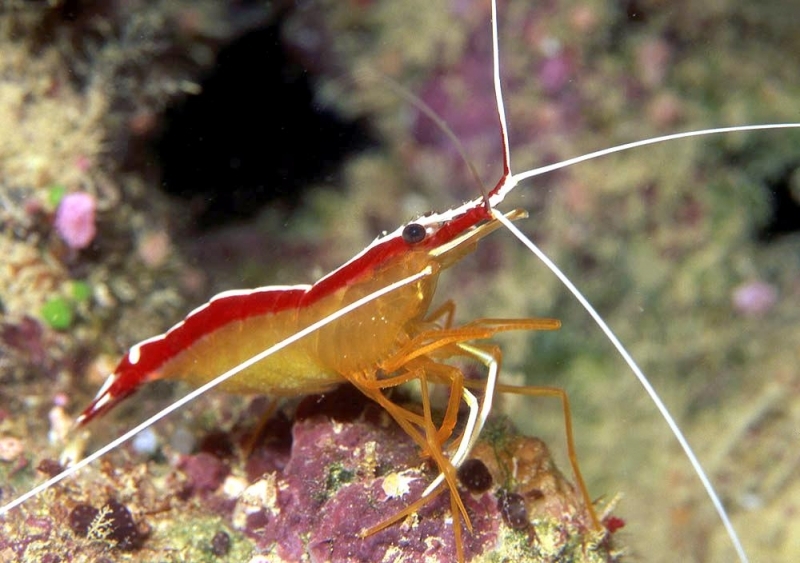 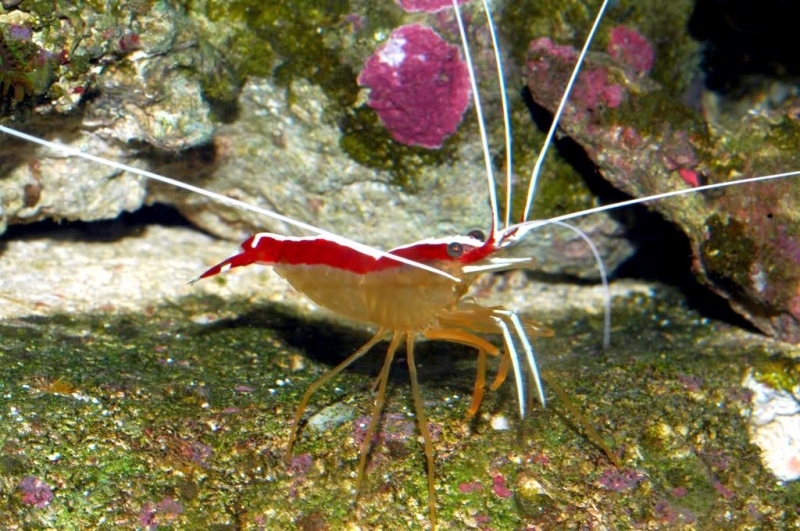 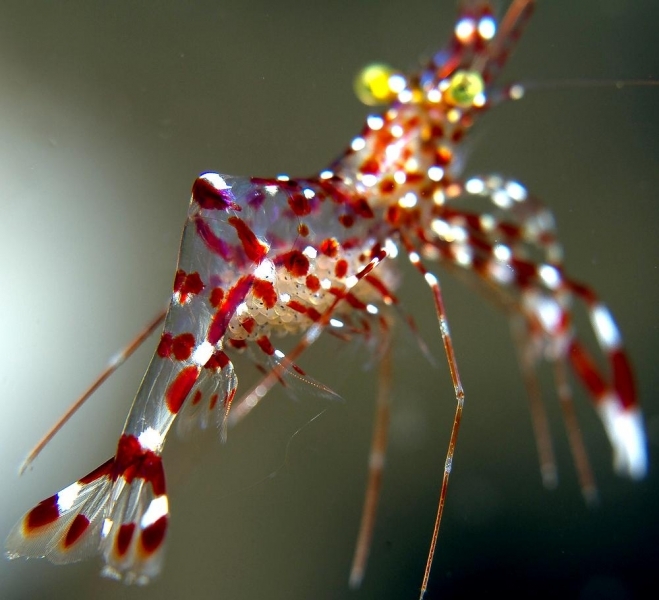 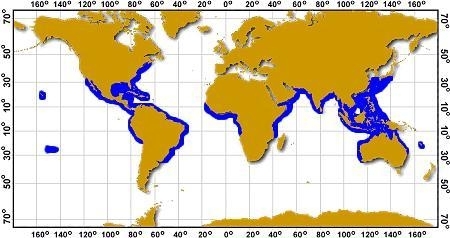 This species of shrimp lives near the reef ecosystem and is found in the tropical Indo-Pacific ocean and the Red Sea. 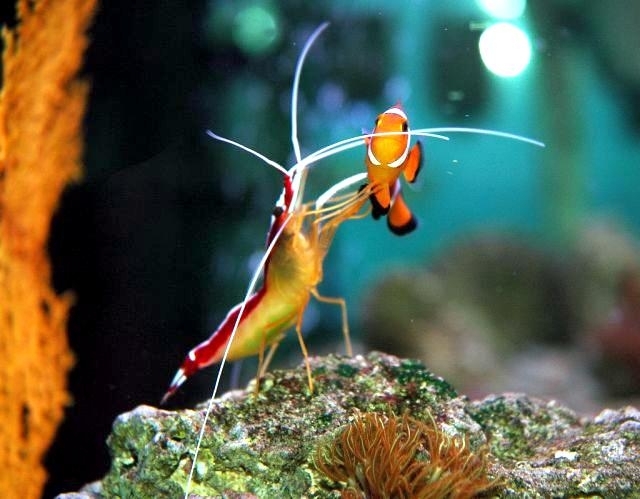 The relation between the Cleaner Shrimp and the host fish is a classic example of symbiosis, where the host depends on the shrimp to get itself cleaned and the shrimp feeds on the debris & parasites off the body of the host. 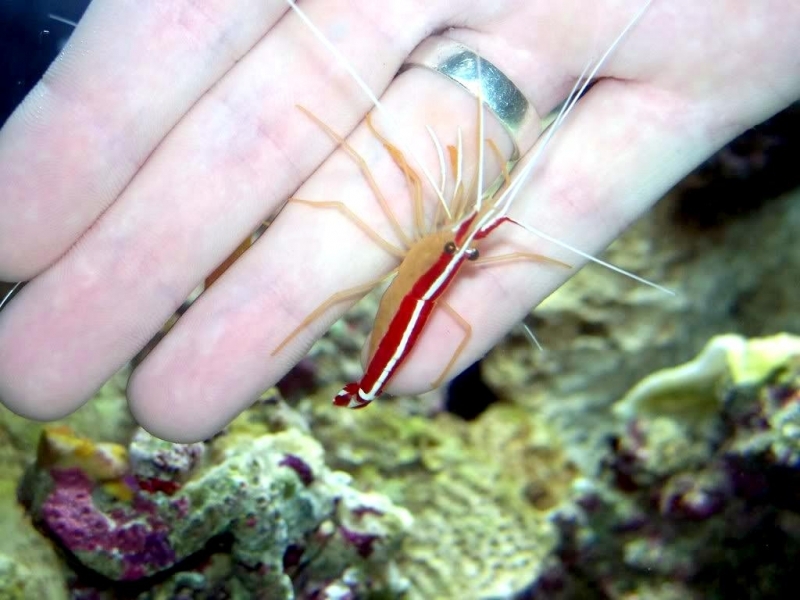 The host also provides safety to the Cleaner Shrimp. 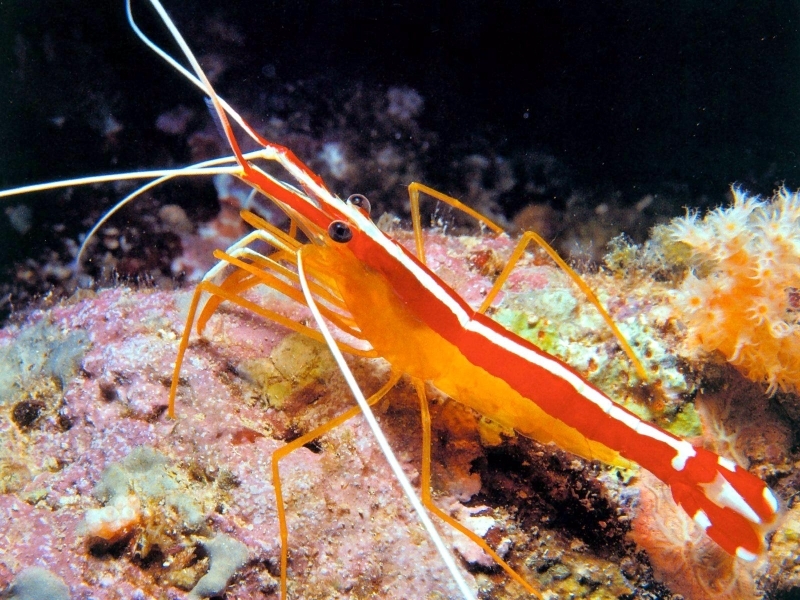 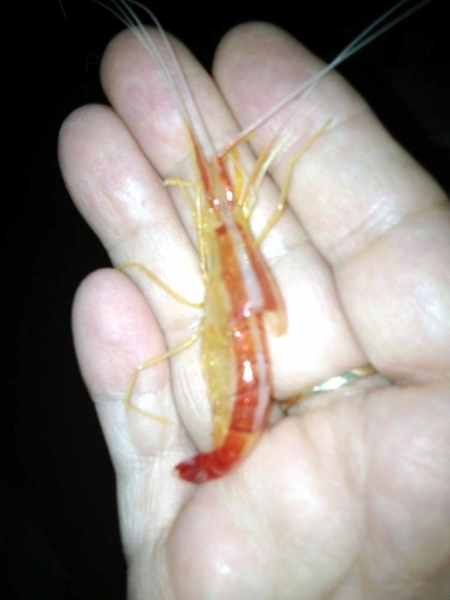 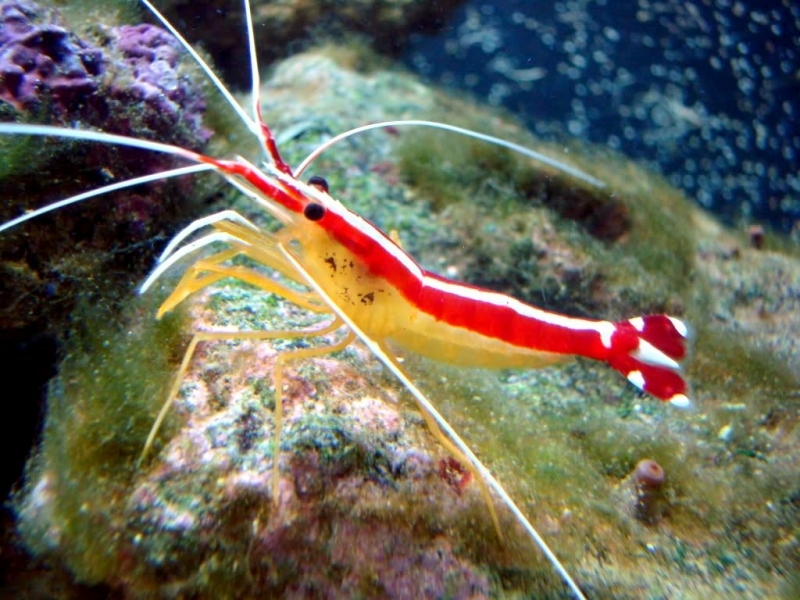 The physical appearance of this shrimp species is similar to that of the ordinary shrimp, with an elongated body and an orange colored underbelly. 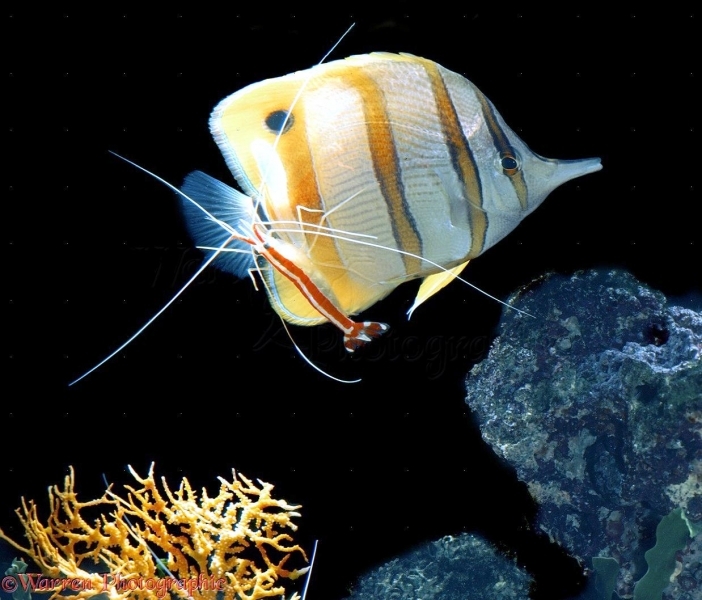 There are 2 pairs of long, white antennae that are situated on the head. 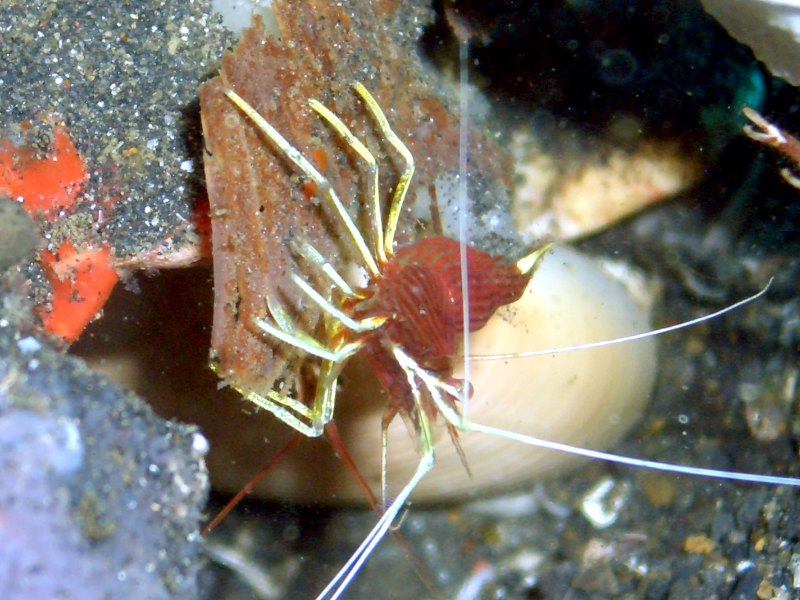 There are also 5 pairs of legs, 3 pairs of walking legs called pereiopods and 2 pairs of swimming legs known as pleopods that are opaque & orange in color. 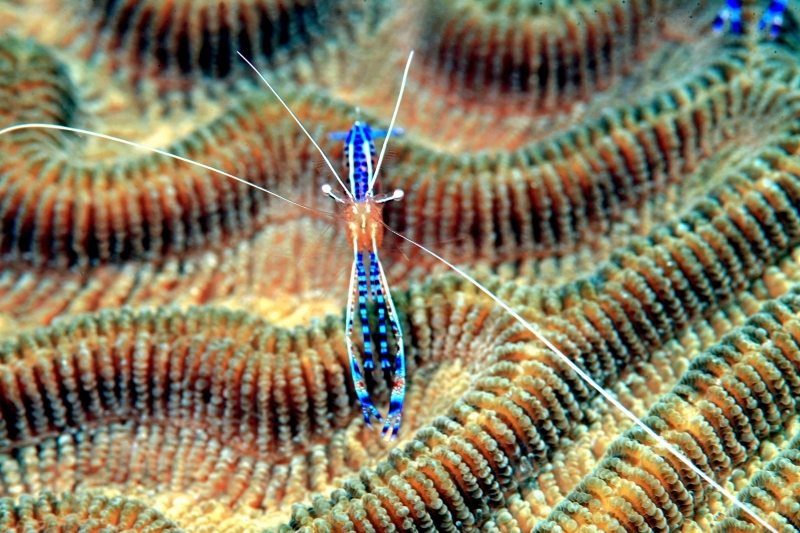 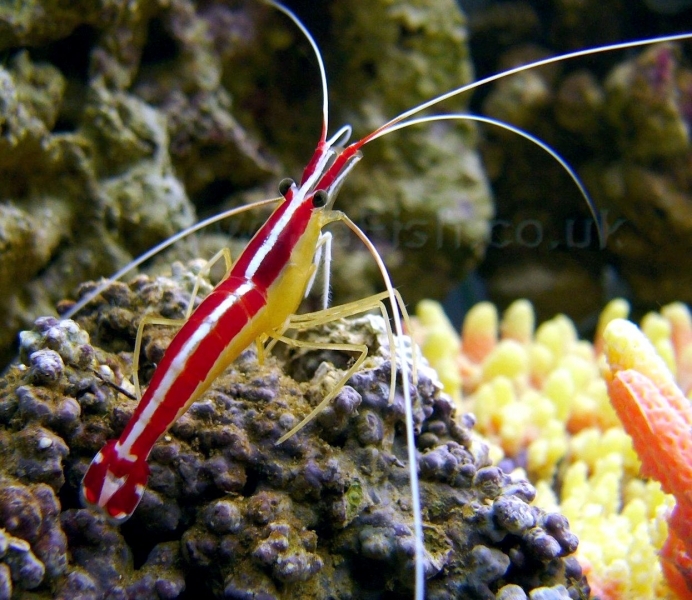 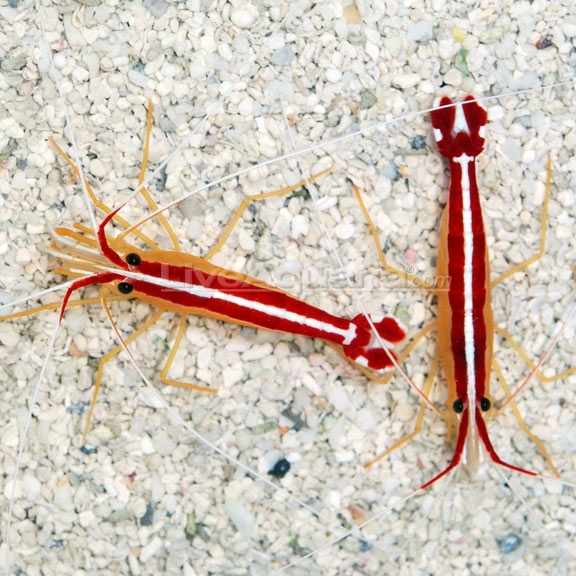 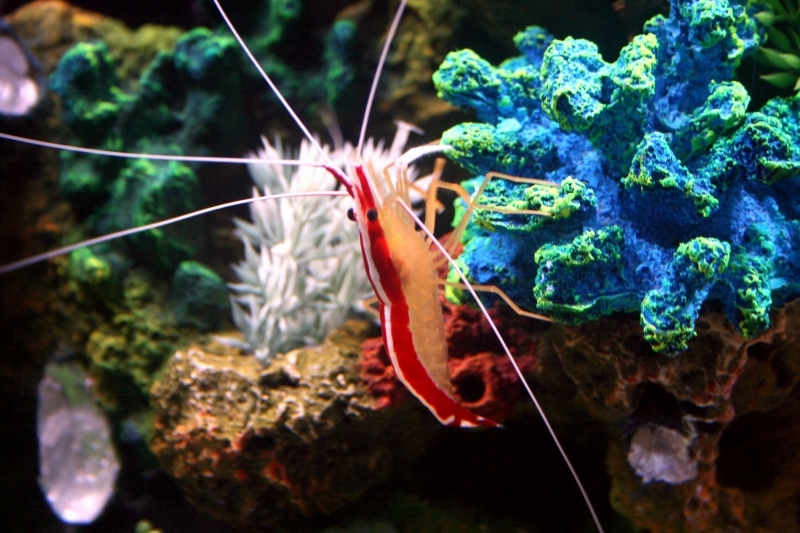 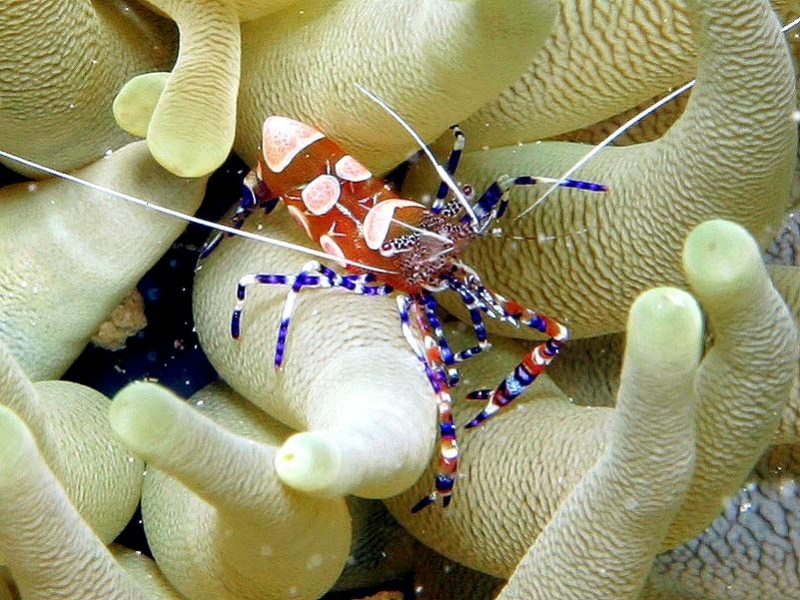 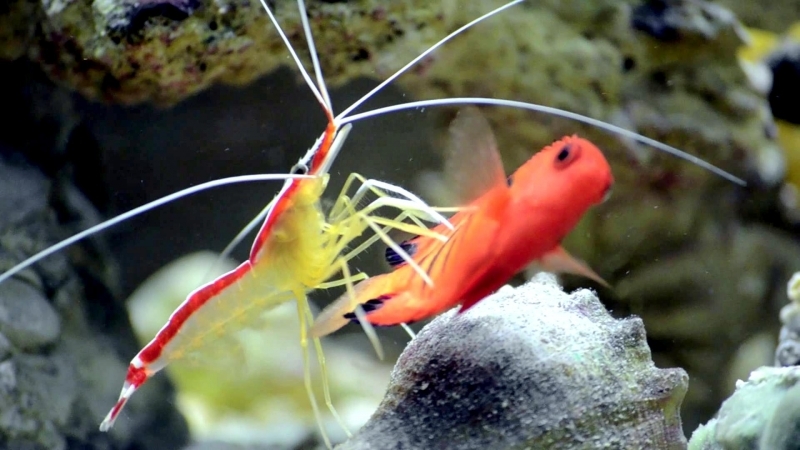 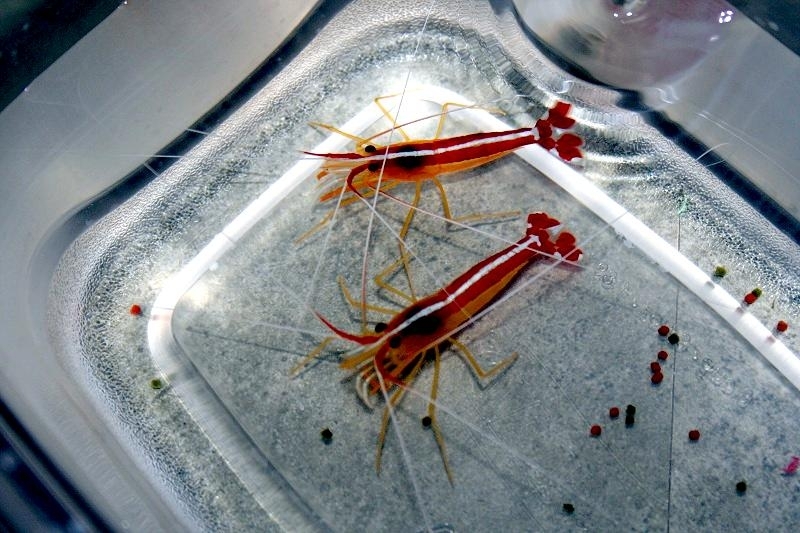 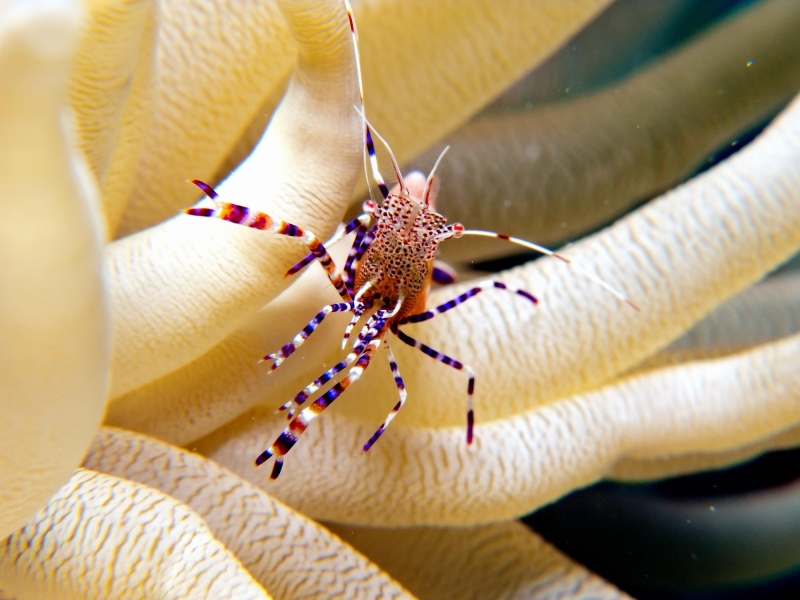 A pair of Cleaner Shrimp will set up a ‘cleaning station’ where several fish who need cleaning visit it. 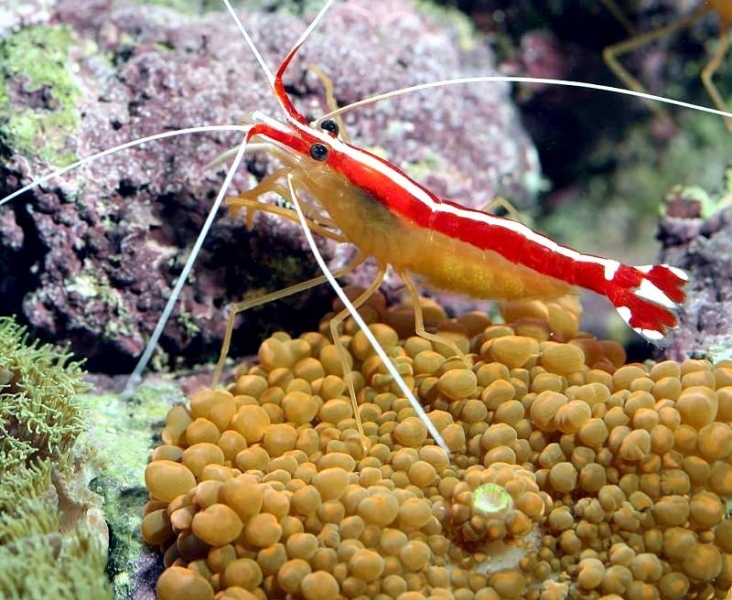 As a fish who intends to have a good cleaning approaches the cleaning station, the Cleaner Shrimp crawls on the body of the fish and cleans it off debris & parasites. 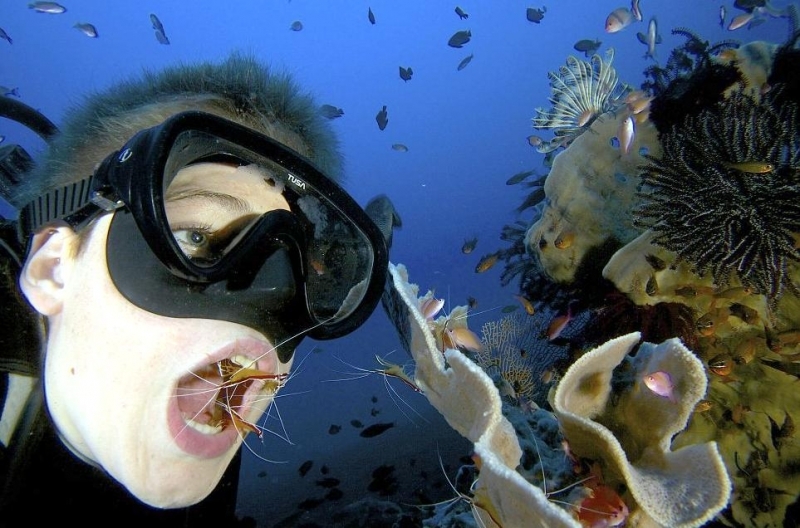 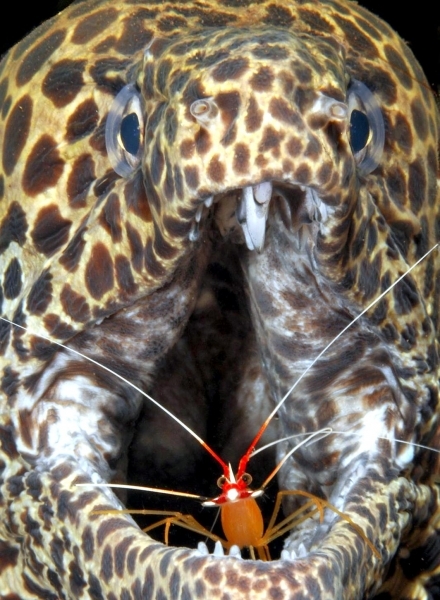 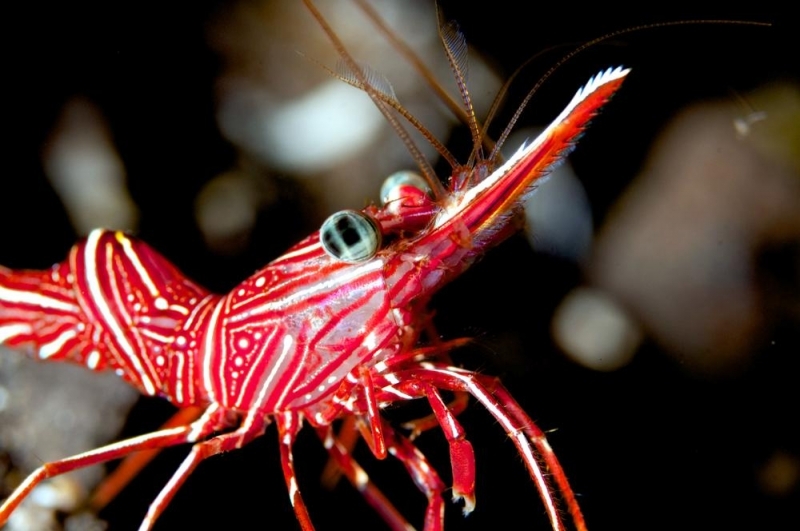 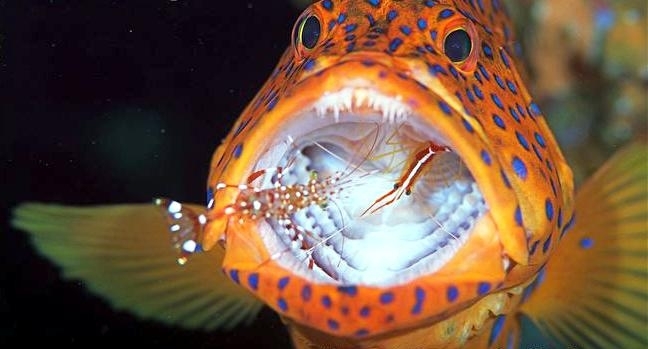 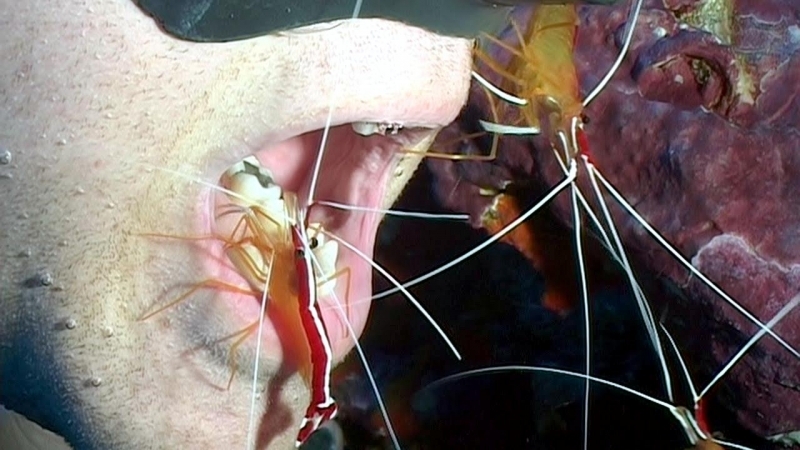 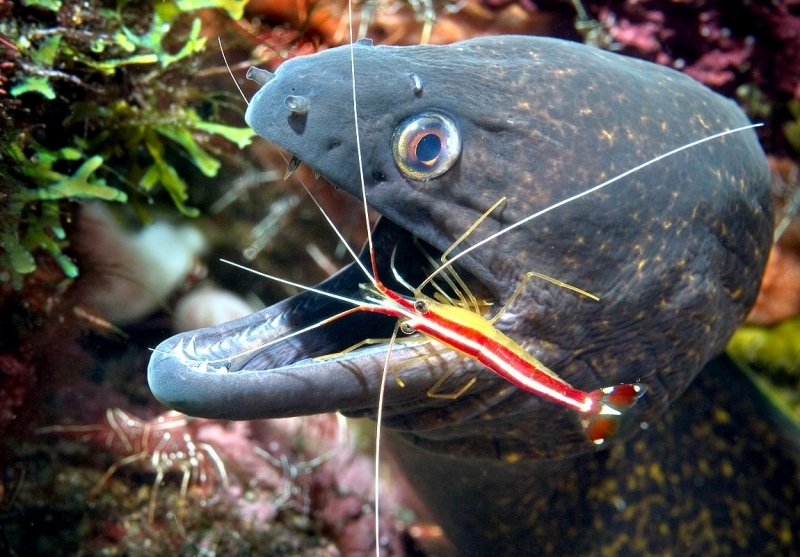 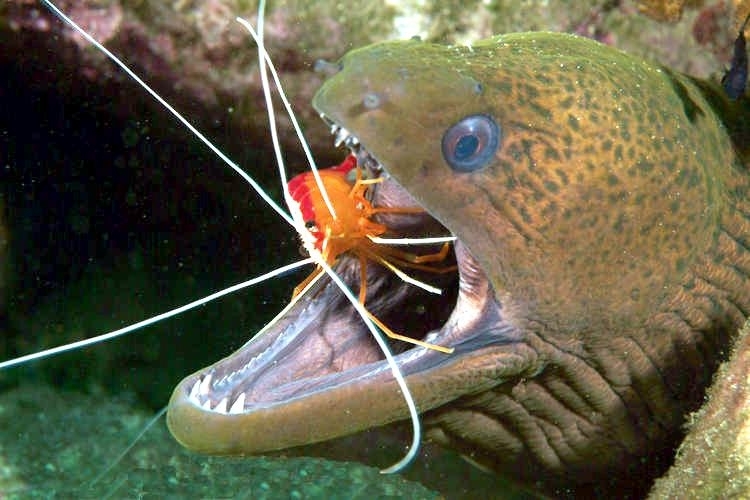 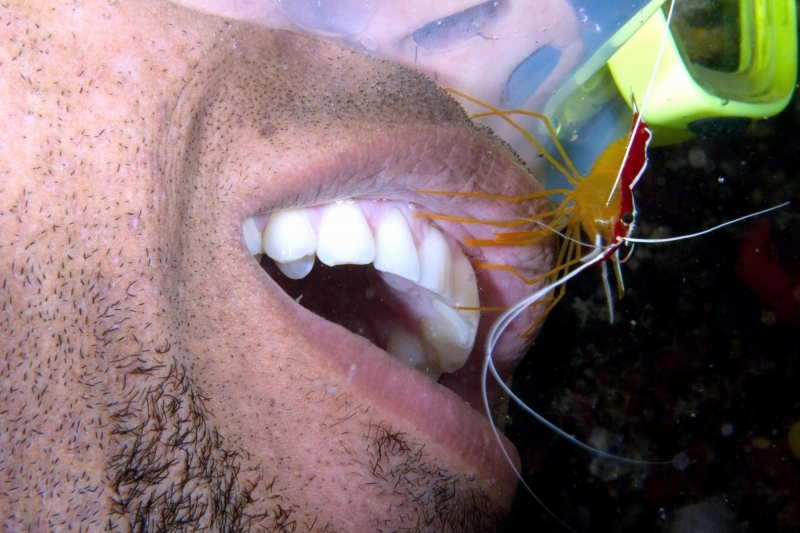 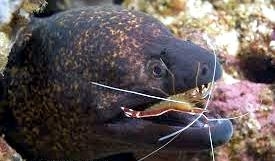 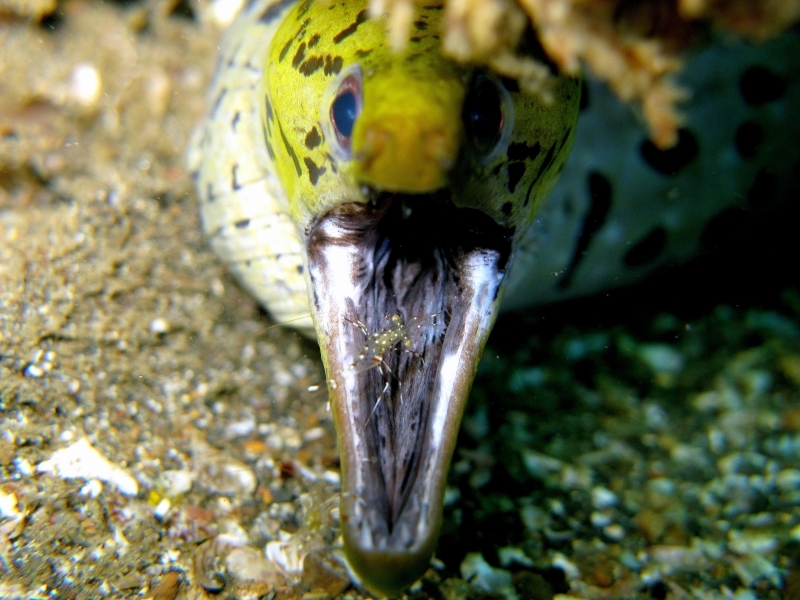 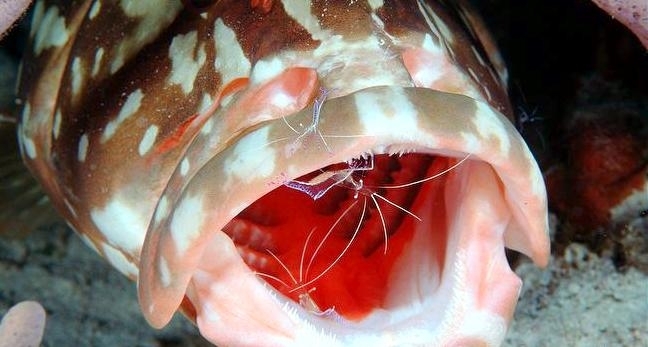 The shrimp cleans the inside of the mouth & gill cavity of the host fish without the fear of being eaten. 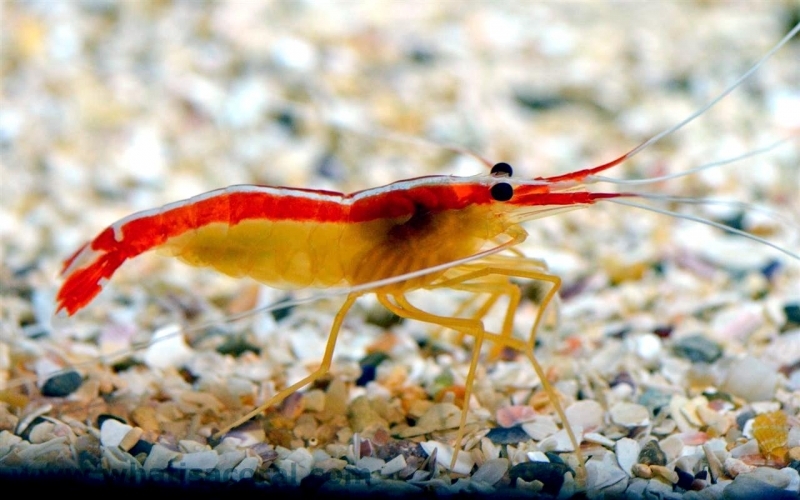 When it comes to feeding, this shrimp eats algae and the parasites. 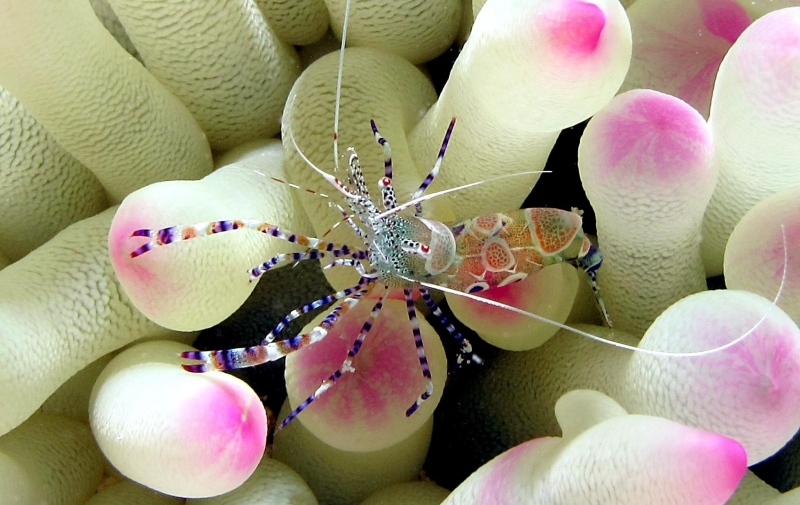 Sometimes the Cleaner Shrimp also feeds on zooplankton & snails. 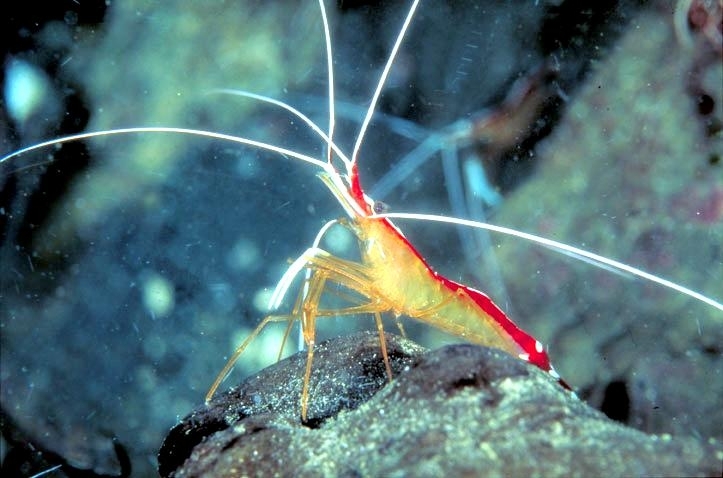 A female Cleaner Shrimp lays up to 50,000 to 1,000,000 eggs at a time. 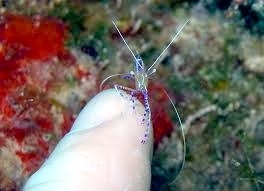 The baby shrimp or the nauplii as they are called, hatch out of the eggs within 24 hours. 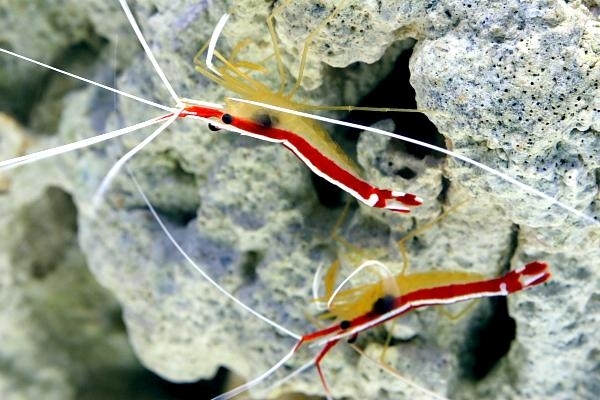 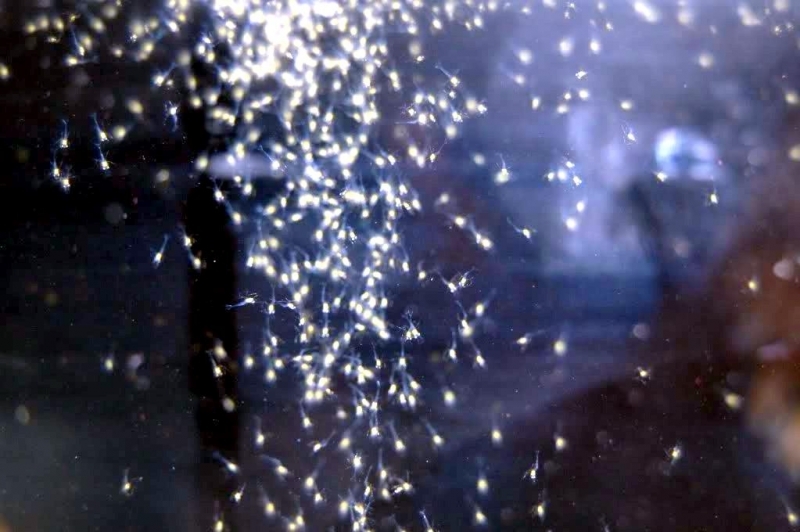 These young Cleaner Shrimp feed on the yolk reserves from the unhatched eggs. 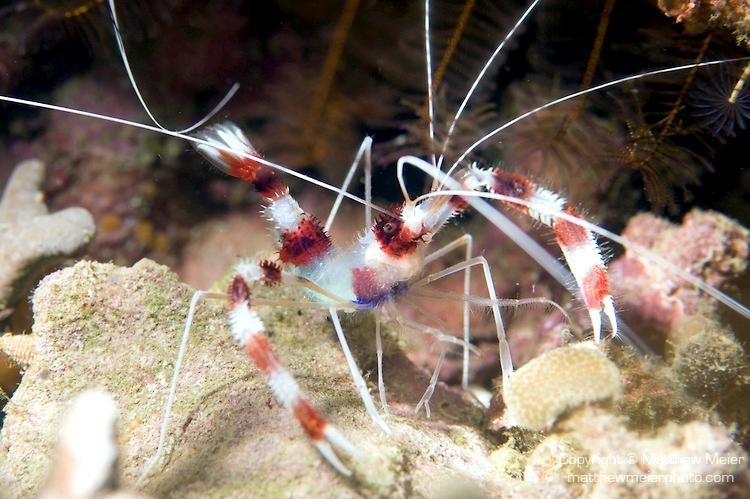 The Cleaner Shrimp feeds on its own kind during the mating season. 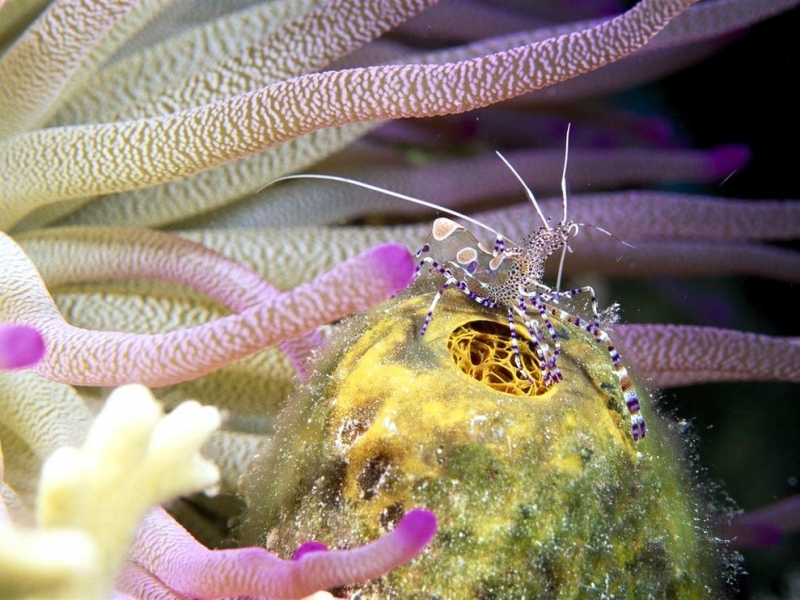 After reproduction & fertilization of the eggs, the male Cleaner Shrimp feeds on the female. 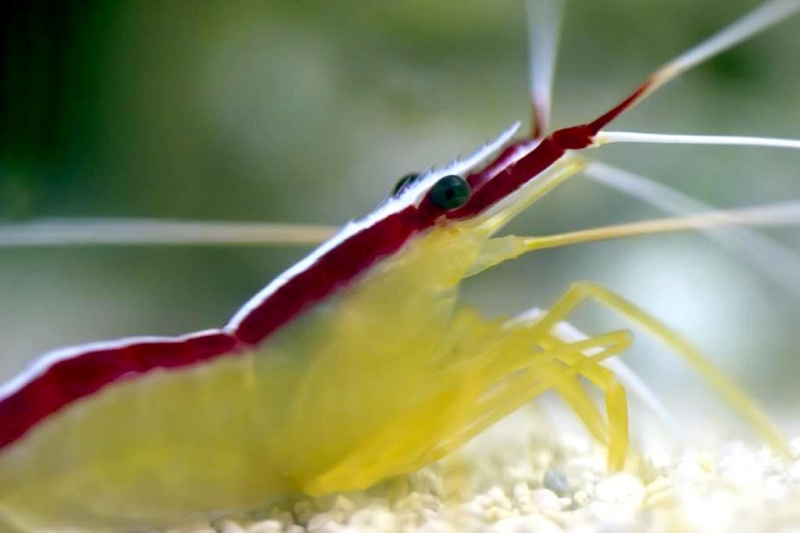 Cleaner Shrimp are hermaphrodites in nature, as they are born with male reproductive organs and grow female organs as they age. 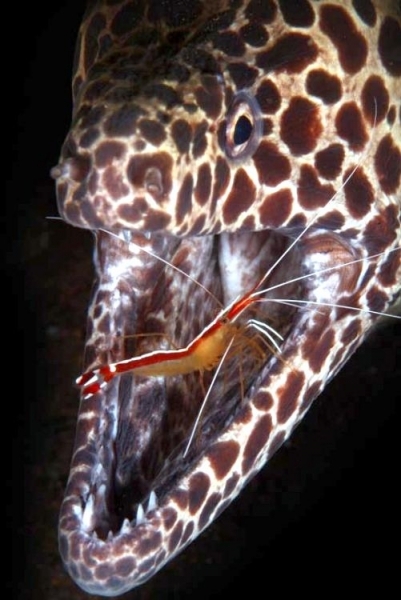 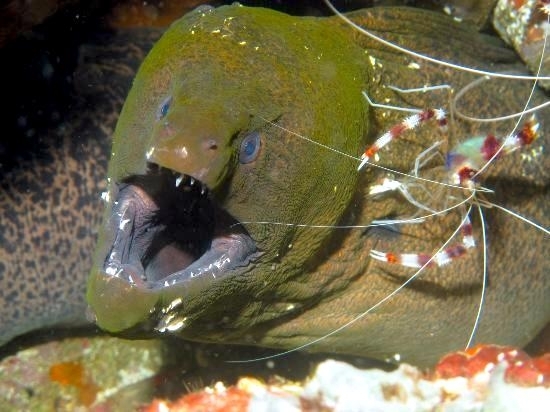 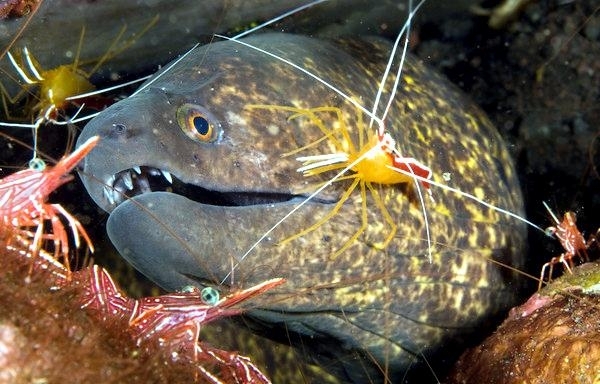 The main predators of this shrimp are fish & eels.